I realize that many of my younger swimmers may not have a clue where this may lead, but my “over 30” kids will get it right away. Several events in my life recently have cause me to once again rethink my own plan and strategy….. It is important to look both UP and DOWN the levels of swimming around you to better evaluate where you actually are and how you can improve your lane assignment. ****Notice they rarely put Michael Phelps against the wall in races? It is because he swims fast enough in the qualifiers to get his spot in the faster middle of the pool. The bottom line of GOING OLD SCHOOL is to do more. Traditionally, swimmers swim a lot - more than many of you might think. I have 10 year olds swimming 5000-6000 yards a day and they do it 4-6 times a week (without crying about it). Interestingly, in that age group, their average race is 50-100 yards. How long is your average race? My high school swimmers are doing 6000 - 10,000 yards a day and my collegiate swimmers are just above that - plus dry lands ! As the longest race in high school swimming is the 500 and in college it is the 1500, this is a ton of yards. 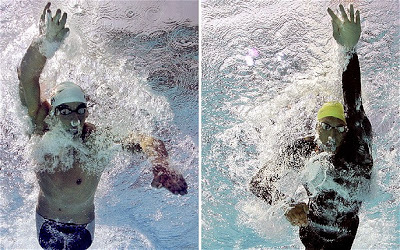 Much of swimming is based on speed filtered in with distance; there are many crescendo and decrescendo sets. We do not swim whole practices at the same speed. To Swimmers ~ RACE every day. Pick one or two spots in practice to go for gold. Teach your body every day to break the last limit. Get ugly. Get fast. Everyday. Keep it to a maximum of once or twice, but they must be serious. Your “world record swims”, not just a little push. Go old school !! Half kids = 8,000 yards per week with more speed work and some distance pushes every 3 weeks. MINIMUM. Iron Men = 10,000 yards per week with some speed work every week. Do your crescendo and decrescendo work. Swim FAST sometimes. Even a 3000 - 4000 yard workout is only 1 - 1.5 hours of swimming. Be serious with you time. Go old school !!! My weekly goal has been 10,000+ yards a week for many years. I reach this goal 80% of the year, but have a HUGE variety in difficulty as I periodize my year. I swim 3 days a week 80% of the time, 4 days a week 10% of the time and less than 3 only when life interferes. Go old school. Recognize you CAN do more. Once you do, it will help you get faster and break out of the plateau. 1) Do your catch up drills every day - no exceptions ! 2) Variety is the spice of life - look for better workouts…. ***I post mine on the O2 SWIMMING Facebook page, as do several of our better swimmers. 5) Monitor a time standard once a month. Has your 100 time gone up or down? 500 time? 6) Go play on You Tube and find a video of a swimmer you know doing it right, you might learn something !!!! 7) Swim slow in the warm up… FEEL the water early and learn to control it. 8) Stretch after your warm up - all great swimmers are loose, it is worth 2-3 minutes. 9) Get a friend. The clock can push some of us, but a pool buddy will motivate you even more. 12) Get the Axis buoy from Finis. Go on-line and get your O2 coach’s discount through my website. This new device rocks !!! Enjoy your holiday. O2 is not scheduled out yet for the year, so call now to reserve your spot….!!! If I could ask for any recommendations through Facebook, I would greatly appreciate it. I try to ask for some comments about once a year so it looks like O2 SWIMMING is still around! Enjoy your holidays and time with family. PS. I started going Old School TODAY - why not !!!!!! This is the time of year I choose to split my newsletter specifically into two sections: Swimmers and Triathletes. I do this because I feel the need to reach out to you as distinctly different animals once in a while. It was sparked by on of my favorite athletes (Thank you, CK) who sent me a piece debasing swimming like a swimmer for triathletes. 2) Of course choppy water affects speed… that is just a “DUH” observation ! 3) Walls are accelerators, but current can certainly be too. One of our swimmers did the Little Red Lighthouse 10km race in an hour a few years back…true story and congrats to RH ! Is he that fast? Well, yeah, with a 10 mph current surfing him down the Hudson River !!! 4) A choppy fast stroke will NEVER beat a smooth , sustainable long stroke because those with the more efficient stroke can adjust better than the one trick pony who feels the massive energy output is synonymous with speed. Effort will not correspond to speed in water most of the time (like 98%). I see FLOW as sustainable and uninterrupted energy transfer making one propel forward. Note well each word in my definition. To test your FLOW, slow down… YES, slow down. Do you feel ANY interruption in forward motion? Any sink? Or, do you feel fish-like? This is a huge reason why I ask all of you to warm up and to do it slow and easy. You are a vertically integrated animal. Going horizontal is a challenge for you. The warm up gives your brain (an essential organ) time to adjust to this linear motion. If you start slow, you will FEEL glitches in the stroke if there are any. Wrinkles will appear and you can work them out right away. How valuable is that versus the daily struggle that can morph into real problems. YES, you want/need FLOW to sustain an uninterrupted forward progress. In the water, we need to be going FORWARD all the time, not accelerating and stopping. I am old, but swim a 13 SPL (yard pool) and can hold a 1:25 pace all day long AT THAT SPL. When I go to 14 SPL, I can go 1:15 - 1:20 pace but I pay for it. My max is 15 SPL where I have gone all the way down to 1:00/100 pace, but am done at the 100 mark :( I can FEEL where my sweet spot is and where it is sustainable. SWIMMERS ~ Let’s face it, all out racing can get ugly, but if you trained the body in a FLOW STATE in practice, your stroke will hold together during the race. Use the warm up. Check in with your SPL as instructed. In order to increase your speed BEYOND YOUR CURRENT CAPACITY, you must cross lines. Every practice should be a partial experiment in crossing over the edge of your own razor. Get ugly on purpose once a day. See what that line feels like, then come back. It is by pushing limits that we find new places. Don’t be afraid to get ugly once a day :) ***Be sure you know when and control the timing of this, as well as re-entry to your efficient self. Do catch up everyday. I do. Phelps does. No excuses here - make your aquatic time count. And for those of you still shaking your heads (I already know who you are), I offer Andy Potts as proof of species…. He usually wins the swim because he is a swimmer. Why would you not want to be? Do not be taken in by the tri gang trying to reinvent science. Study swimming and you will see what I see. 2015 scheduling closes at the end of the calendar year. If we are currently working together, get your sessions scheduled. As of Jan 1, we turn everything over to the accountant and start the New Year fresh - no carryovers since 2002. I always have openings, so let’s be respectful of each other. PROBIOTICS !!!! As most of you know, I am pharmacist, nutritionalist and swimmer. I truly believe that probiotics are ESSENTIAL for chlorine poisoned swimmers. And, to be crystal clear, all supplements are not created equal. I use only GMP certified supplements and you can find that link and discount on my web page too under Emerson Ecologics. Discounts are good, but superior quality is great too !! 1) One of the topics suggested by you was NUTRITION. Nutrition is very near and dear to my heart, as a Board Certified Holistic Health Counselor and with a lifetime of health sciences under my belt, this is very important - and very misunderstood. Some of you may have seen that I am on Day 10/10 of a Fall detox/cleanse today. YEAH! I started doing these upon graduation from the Institute of Integrative Nutrition and do them at the spring and fall equinox. They are NOT weight loss schemes, but the one I utilize is a “doable” athlete cleanse of the vital organs of the body. Liver, gal bladder, kidneys, etc are your filtration organs. As such, they are assaulted every day by all the chemicals in the modern world. You know what the ingredient list looks like on most items now : chemicals you can’t pronounce, fillers that should not be there, many ingredients… Simple one ingredient foods are the answer: chicken, carrots, apple - you get the idea. I am in the “over 30” age group by more than most of you; yet, I have not been sick in so many years I can’t remember (30++). I have been within <10 lbs in weight since I was playing water polo in college. I take no RX medication. Not too bad ~ because I fight for my health every day. Exercise is a huge part of my life 6 days a week. We eat over 90% of our meals at home - most with single ingredients, just spiced up with more single ingredients: garlic, pepper, cumin, etc….more than the seasoning packages that often have MSG and other non essential ingredients. Simple. Effective. Yet, the world confuses you at every turn. Don’t think too hard. Eat what you know is the better choice. Stick to single ingredient foods. EVOLVE into the best you can be through nutrition. *****Any further questions on the detox/cleanses, etc., reach out for me directly. c) FINIS alignment kick board. A GO-TO item for all the years I have been coaching. This tiny board begs the swimmer to keep their goggles on and extend full forward into the swim position. How novel !!! With this board, your hips and shoulders are both HORIZONTAL - the way you swim. Perfect. Love this! d) FINIS small pool buoy. Since none of you could buy MY old buoy for $0.25 and most are too big, this version was our best option…. e) FINIS AXIS device. I call this a “device” because it is another genius product from our friends at FINIS ~ a company started by Olympic swimmers. Try calling there at noon….no one will pick up, they are all out swimming !!! This new tool is THE BEST thing to have in your bag now. It is a small/comfortable pool buoy, a nice little kick board, and an awesome DRAG aid by clipping softly on your ankles. I was so happy that when I slid these onto my ankles to do a pull set that they were super comfy, stayed on during ALL my flip turns, and begged me to pull harder and work through the resistant drag off my back end. I WANTED to work harder. I love these. 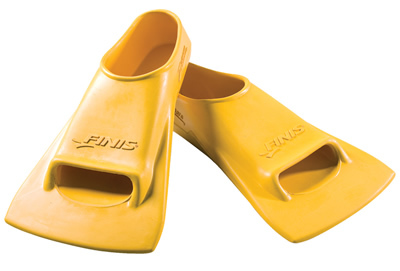 ***Keep in mind you get my coach’s discount on all FiNIS products through my web page. HIGHLY RECOMMENDED for all of us !! 3) YOUR EVOLUTION ~ you either evolve or you stagnate in this world. We move fast these days…. Get with the program. Get ahead of the curve. Are you doing the same things you always did? That would be Einsteins definition of stupidity. Evolution is a natural occurrence - let it happen to you! If you haven’t thought about YOUR process in a while, maybe it is time to advance. EVOLVE. Go forward. As always, I wish you all well this month. I hope you enjoyed this month’s edition of the O2 SWIMMING Newsletter !! Monday was a very special, but sad ending to an awesome summer of swimming OUTSIDE for me, I enjoy the luxury of swimming under the sky more every year :-) It was good to see so many people at our local municipal pool (Fanny Chapman) - they were parked on the grass, double parked and even walking from other parking lots!! I took the day as just fun and had only one goal - not to stop swimming… I did the last open air mile for this year and enjoyed a long hour workout after that. I wrote an article on “Hands in Swimming” several years back (OK, maybe it was 10+) that was published and embellished by an aerospace engineer…Ah, the science of swimming. My article was hopefully thought provoking to begin to change people’s mindset relating to HOW and WHEN the stroke is at its best. Humans are grossly INefficienct animals in the water. A DARPA study found that if we hold the dolphin to be 100 on a scale, humans are closer to 3-4, with Olympic caliber swimmers maxing out at 10. What does this really tell us? There is really only one point in the stroke where we are close to perfection ~ when your body is balanced on the surface HORIZONTALLY, and your catch arm is exactly VERTICAL. How long does that last? This is why we are so inefficient; or at least a huge part of it. So, how can O2 SWIMMING help you? It all begins at the beginning…. In my opinion, the reason our best swimmers (Olympians) are so much more efficient than most of us is that they get the vertical vs horizontal equation and use the 2 articulations in the paddle to produce maximum force at this intersection. Are my engineers still with me….? The wrist is a joint that CAN relax and let the catch hand begin to dangle - more vertical than horizontal. IF this happens, it is also possible that the elbow breaks long prior to the perfect vertical and helps catch water sooner. ******This all starts OR ENDS with the hands being open, relaxed, and slightly facing down at the inception of the catch. Take a look at these two pictures of Michael Phelps (left) and Ian Thorpe (right), two of the greatest swimmers of all time. How are they holding their fingers? Arguably, these two boys “get it”. However, do not just dwell on the hands. The wrist joint allows part of the positioning to occur. Move up the straight arm and see the elbow on MP already beginning to break a bit and catch water early. This is one of the great secrets of swimming. If you have a stiff hand (do you ?) and push water down, you will only go UP, not forward very much. This all occurs easier only if the hands are soft and lead the way by FEELING the water and beginning to attain pressure. Do you BOB a little when you swim? Slow down in the warm up and begin to FEEL this affect. Work harder at CATCHING water than at just moving it somewhere/anywhere out of you way. And now for the ultimate punch line ~~~~~~~~~ it all is measurable and definable by your SPL. Far too many of you feel “slow” if you have lower SPL numbers and miss the big picture entirely. Anyone who CAN get to the end of the pool in less strokes CAN swim faster. Efficiency is everything, as taught by our metric - the dolphin. So boys and girls, what can YOU do to get faster? Think about the September Focus as you swim. My triathletes are mostly entering marathon season or down time = perfect for gaining efficiency in the front end. My swimmers will be back in the pool in a matter of days and expected to get fit and get fast in a short time. I assure you that your coach as dialed in the workouts to get you fit, but will you be FAST? I think this month is a key. Summer is winding down and many swimmers are on vacation, but I’m starting to get wound up !! Hope you have had some time to click on a few links I have posted on Facebook showing a couple of old boys still getting it done ~ Lochte in Russia and Phelps here at home. Both veterans are swimming “fastest times in the world” and just kicking tail all over the pool. Ryan looks perfect as always: perfect stroke, transitions, plenty of speed. Michael is as ripped as I have seen him and is stamping his old mark on anyone making it to the A final with him. Worth a look, trust me. Locally, we have many swimmers at Junior nationals and a crew of 4 who broke a National record in their quest to see just how far they can go…. Many of you reading this may have raced these boys, be proud of your pool time with them. Hard work pays off - for ALL of you :) O2 SWIMMING wishes them continued luck and success in their quest for an Olympic bid even as they just enter college !! You bet I AM !!!! This is also a good time of year to discuss Scheduling. Right now, my schedule is “light”…. I fill up some weeks during that week - vacation time of year and no swimmers in “season” (other than the ones above!). So, if I owe you time - especially adults - between today and Sept 20 things will remain on the quieter side. Call NOW to get some time :) ****I am also closing Aug 26 & 27th to do a southern college tour loop with my daughter. After Sept 20, swimming will be in full swing and O2 SWIMMING will start booking 2 and 3 weeks out very quickly. Enjoy the last few weeks of outdoor swim time before Labor Day hits and we are all shoved back into the building. The Kick and………… Overall body synchronization of power……..
Interestingly, I may have never formally written about this in our 15 + years together. But, I have my reasons today - thanks to some of you; and profiting all of you! 2) The greatest swimmers on earth actually live in the water (fish) and non of them have 2 legs… They have ONE tail. Modern training has taken us far past Mark Spitz’s level - for many reasons. One of the primary things we now understand to be true and therefor coach our athletes on is CORE POWER. I have taught each of you to integrate your core into a full body swimming stroke. The paradigm has shifted away from PULLING and KICKING. We (at least the coaches who understand swimming) now tell our swimmers that the body does have two halves ~ the right half and the left half. *****These two halves can be equal. The old school process of pulling and kicking taught us that you had 2 unrelated halves ~ the front half and that back half. The front and back CAN NEVER BE EQUAL. Hence, this old school thought process was doomed into oblivion about 15 + years ago…post Spitz era. OK, what can we do to actually HELP ourselves incorporate legs into faster swimming? That is all you really care about, right? KNOW when to transition between spending the cardio gas money on a fast kick and when to integrate it into a core body swim stroke. Technically, this can be a “2 beat” kick versus a “6 beat” kick. As stated above, this e awesome/fast Olympians only swim for (less than ) 2 minutes. My TRI gang, swims for north of 30 minutes in most cases. My partiality to FINIS continues because they are THE swimming innovators, they were founded by Olympic Swimmers, and they reward us with a great “coach’s discount” that I pass directly through to you. These are the Z2 fins that teach LENGTH and integration. Z2’s develop a long distance, powerful body coordination. I use them for sets over 200 AND for purely dolphins off the wall. One of my favorite core sets in the winter season is a 500 where I try my best NOT to swim more than a few strokes for all 20 lengths…my goal is to use the fins to dolphin off the wall at maximum ACCELERATION for as long as my lungs hold up. This is very cool, very challenging, and very rewarding !! The old standard ZOOMERS still rock. 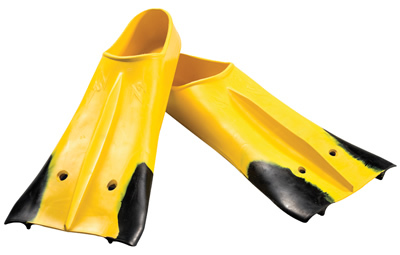 These short fins make even me feel like Michael Phelps ! I use these under 20 and try to go mostly ALL OUT when wearing these. You want your HR up? These will do it !! There IS a cost to doing 100s on about .65 seconds when you are in my age group (over 30….). These 2 cover all bases. They should be standard in all swim bags - at least one of them per your discipline (swimmer or pure triathlete). So, over the next few weeks, how about committing to improving your overall power by focusing on your legs as extensions of your core body? I hope this clears up some of the “opinions” posted by other sources…. Also, keep in mind ALL of your team discounts available through my web page - they are all yours. ***I buy everything I need from these companies! Although this summer started out dry as a bone, we have progressed into a deluge of rain every week. I hope you have managed to get in some outdoor pool time between the storms. There is just nothing like swimming outside in the fresh air, I really enjoy it. For the first time EVER, this month I am going to talk about……. wait for it….. the Endless Pool !!!! We have covered a wide array of topics since I started doing this officially in 2001, but it occurred to me last week that I have never written an article about the actual pool and what a difference it makes - to all of us. As a coach, I am much more precise and effective in our hour together due to you being trapped. As a swimmer, you are in a tightly controlled environment and under scrutiny for an hour = tough ! This month’s idea did not arrive in my sleep. As usual, it came from YOU! Actually it came from 3 young swimmers (ages 13, 15 and 13 - boys and girls) who all swam with me on the same day. With each of these youngsters, I noticed THEY were reading the pool (current and mirrors) as much (or more) than listening to me. Each swimmer has a history with me, none were first timers. I could see in their body language that they FELT things and were already making appropriate adjustments. How cool is that? I have probably told nearly all of you that my job is to obsolete myself by teaching YOU how to FEEL the water and then MAKE ADJUSTMENTS. Each swimmer is at a different place in their journey. Some just want to finish. Many want to win. All have arrived in my pool looking for a better way. I have given you all my 4 LAWS. I have drilled into each of you that nothing is more important than monitoring your SPL every time you swim - this will show problems and triumphs quicker than you may register them. All great swimmers do drills. All great swimmers warm up ~ this is the important transitional period of being human to being fish. What does the pool do for you? The Endless Pool provides you a safe and highly technical environment to train your BRAIN and your BODY to fulfill a goal it was not really designed to do…. Think about it, do you really think that swimming freestyle makes sense? - head is down so you can’t see where you are going ! - mouth is pointed down into the water so you can’t breath ! - you have parts sticking out all over you: neck joint, hip joint, arms, split legs… Fish have none of this ! I have 2 motors and 4 mirrors. How do you feel in the Endless Pool? Is it easy? How could it be easier? How does this translate into both open water or pool racing? Give me a call soon and let’s explore just how much better YOU CAN BE ! And, as a special bonus for America’s Independence Day this week, how about another look at our US Men’s 4 X 100 relay team beating the French? The start: The warm up matters. Each swimmer needs to know what their best warm up feels like. Develop it. Change it. In practice, treat some days like a race day: do your race day warm up, then get after the distance. Get your HR up prior to the event. In both Scholastic swimming and triathlon, I can’t tell you how many times I see athletes standing around just prior to the race that are as still as a statue with a heart rate as close to zero as possible (thinking conserve energy). This is wrong :( Get your party started, get the HR up - BE READY. When the gun sounds, you will ask your heart to race - do not ask it to go from 55 to 200 !!! Get the HR over 100 so it CAN make the jump. Cramps: What do you do when you cramp DURING a race? Ever cramp in “practice”? What do you do then? Swim L-O-N-G some days…long enough to get a little crampy, then work through it during the remainder of your swim set. Go light on fluids and electrolytes to simulate this. Swim later in the day. Get the idea? Anything you can do to simulate an issue, then RESOLVE it (without stopping). I have learned by doing this certain things that help get me back on track WHILE I am still in forward motion. ****This is valuable. With all the heat and lack of rain this year, venues will be warmer… Be prepared !!! Is this what you look like? What you feel like? Maybe you should practice it BEFORE race day !!! In closing, I can not stress enough how good INFINIT Nutrition is…. Discount always available on my web page. If you do nothing else new this month, give YOUR OWN CUSTOM Infinit formula a try. ~ Summer hours are back....MORE time for you!! My daughter, Summer, will continue with her branch of O2 SWIMMING…..”Summer Swim School” by request as her Fanny Chapman schedule allows ! No excuses for anyone doing Lake Placid IM, summer swim teams, or any other kids who need help…. May - Special Team Discount Addendum, Spring 2015! FINIS - complete line of swim apparel & training equipment. A few things I have learned in my years as an athlete and a coach to a wide range and ability ~ there is way too much HYPE out there and it can take years to sort through it all. As both a pharmacist and nutritionalist, I can personally tell you that what I have listed here are above the “average” by a huge margin. If you can’t figure out a PERFECT CUSTOM blend with Infinit, there is something wrong!! I have been using Infinit exclusively for 3 seasons and love it - it is MY OWN PERSONAL FORMULA….I need nothing else going long or short. How sweet is that? You do not need 14 different things to get through a day of training or racing… ONE, and it is Infinit ! Secondly, we get a nice discount from FINIS as well. When you need anything for swimming - they are it ! Just keeping you in the loop, as I have negotiated discounts on everything I use because it is THE BEST I have found…..
We are knocking on the door of summertime - finally !! The kids are either playing “land” sports or swimming long course and the triathletes are beginning to race….life goes on :-) O2 SWIMMING has been nicely busy, not insanely overbooked, but once school lets out - all bets are off. That is my one and only HINT by the way. When I look back at my workout posts on O2 SWIMMING’s Facebook page, I am amazed at just how many different plans I have come up with over the years. If you are doing Eagleman, Black Bear, IM Lake Placid, etc; you will find a nice selection of fun and challenging workouts. Yes, this is another HINT as to what you need to be doing…. Everyone in the swimming community talks about the catch, but after many years of swimming and now coaching, I am utterly convinced that very few people know what it means. Human swimmers are hopelessly inefficient - compared to any aquatic animal. The only time during the freestyle stroke that we are “perfect’ is when our body is balanced horizontally on the surface and our “catch” arm is exactly vertical. Everything else is a compromise….. How best to efficiency catch water? - Enter the water earlier than you probably think… If you are fully extended when you hit the water, you can only push water down - resulting in you going up, not forward. - Soft hands catch water. A stiff or flat hand slaps water and will not bend when necessary. - A soft/relaxed hand leads to a relaxed forearm and a relaxed shoulder that can move much faster than a stiff arm ever could. - Try to FEEL the water during your warm up…read the direction of flow….do you feel like you are going forward? Bouncing? Up? - A high elbow ABOVE the water will make a high elbow BELOW the water….. Angle of attack going FORWARD is important. *****FEEL the forward motion of your body that results from the drive forward more than the pull backwards. - Swimming is nothing if not a constant state of FLOW. Everything keeps moving all the time - ever see a fish completely STOP? Bottom line, lets work on our catch this month. FEEL the water. Be most deliberate in warm ups every day. Use the FINIS Agility and/or Instinct paddles to help you. My SWIMITTs are also very instructive - I do have some left in stock for $20.00. It is time to swim L-O-N-G. There are less walls in long course….just swim. If you are a triathlete; get used to putting in yardage when you do show up. If you have a half or a full IM in 2015, there are no days under 3,000 - NONE! Have faith - if my 12 and unders are doing 5,000, surely we can set 3,000 as our bare minimum !!! ******Just to reiterate, I am in a nice scheduling season now. Once we get even close to schools letting out for the summer, life will change in ONE DAY. If you need O2 SWIMMING, reach out ASAP. ****** And last, keep in mind that we do rent out the pool alone - no coaching. $20/hour swim until you can’t !! The main reason I am focusing on streamline this month is because I see so little awareness or respect for it…. Not good. My proof for the equation of streamline being worth MORE THAN power is that most of my under 12 girls can beat nearly all of my triathletes in the water. Sorry kids, just the hard cold facts. How, when the adult triathlete is SO STRONG, can a little 10+ year old swim so fast? STREAMLINE !! Very simply = your ability to swim through the smallest hole in the water, essentially, your shoulders. Why are we so bad at streamline? Very simple = humans have parts having off that aquatic animals do not have and we are oriented vertically. What O2 sees that can help you? 6) In your warm up, swim SLOWER and FEEL your relationship to the water… Any drag? ADJUST !!!!! If my long course swimmer use the extra space between the walls to develop better streamline swimming skills, it will be a win. If my triathletes SLOW DOWN early and develop more feel than trying to overpower the water, it will be a win. Is there anything more important than your streamline this month? Keep me posted on the O2 SWIMMING Facebook page - this one matters…. And finally, the BIG Announcement!! As much as I told her kids HATE summer school, she developed her own program and name and is doing great! Her services are “in water” and she charges half of my rate. Summer has been coaching at Fanny Chapman for several years and the little fish lover her! If you have a young child who needs to learn how to swim or is in the early years of swim team (7-8), then this might be the best answer for you… References upon request. It is a new month ~ one that brings SPRING..believe it or not! I would like to start out with a HUGE Thank You to each of you who have showed up at the O2 SWIMMING Endless Pool Studio through all of this horrid weather :) Over the years, and this year is no exception, you have chosen to brave some nasty stuff to get here and swim with me ~ THANK YOU! This morning, I spent 2.5 hours scraping ice off the 200’ driveway and another 100’ of walkway and deck. You know why? Because I know you are coming. I have no doubts. You will be here tonight and every night - because you are swimmers! Tough guys! Never say die kids! All-in athletes! First off, I’m not shaving until the taper is over !!! It has been a swimming tradition for decades to shave down… I am with you! I said I would not shave till districts, but I always knew some of you would continue on to STATES… Love the program. Taper well…. This is as relevant for triathletes as it is for swimmers, so hang in there with me. 1) Let the taper work - do not overburden your body to “catch up”. The work is done, let the taper work now…. 2) The older you are, the longer the taper needs to be, but the better it works. Older kids have more mileage and more muscle to rest. 3) Some of taper should be RACEY !!! ***most of taper needs to be long/easy/loose…. 4) Nutrition and rest are a huge part of taper - do you have a plan? 6) Engage your BRAIN during taper. Read the water. Feedback is important now, as you have slowed up a bit…. I will never forget after M Phelps won everything at US Trails heading into Bejing where the world fully expected him to dominate; where he was interviewed and told Rowdy Gaines that HE HAD A LOT OF WORK TO DO…. Really? Modest? NO! But most people thought he meant workLOAD. He meant technique. Michael was feeling bad things that needed to be dialed in BEFORE the big stage. He knew he was solid, but not fully ready. He began to use every day of his taper to BE PERFECT. Nothing less. Winning takes commitment. Brain power added to a tuned body is awesome. When you witness a fully loaded animal peaking in a sport ~ it is legendary. Now I ask you - ARE YOU READY? No doubt Reese is an amazing kid, but look at the other swimmer continue to ATTACK for ALL 100 yards! He was ready. No one could ask more….. So, whether you are still swimming or done, heading into long course or resting, or ramping up the swim leg of your tri training - get your head in the game NOW! I am committing to a minimum of 10,000 yards a week now in my 3 workouts. I want more 12,000s than 10’s, so I really jump on mondays. Today is wednesday, I have 4,000 + 4,000 so far this week….can’t wait to kick friday over the top at 12,000 ! I am “banking” hours while the weather has kept my bike indoors. It will pay me back. I am already beginning to gain speed again. Sets closer to 1:20 pace than 1:30 pace are happening, and the work feels so good !! Enjoy your time in the water. We will set the clocks ahead this weekend. This crazy weather will end very soon. So, if you need the level of help that I give each of you in the RUNNING area, we now have a superior option. Reach out for David through his website: www.run360.org And tell him I sent you - he is one of the good guys ! Keep me posted as you swim JOs and STATES next week kids ~ O2 loves it when you blow up his phone on the weekends with tales of glory…. NOTHING MAKES ME HAPPIER tun your success ! I am a little late this month, but it is 8F now and plenty is still going on around here - in the water !! All swimmers are preparing for championship meets, districts, states, zones, etc and we are working with each one on strategy/game plan. Swimming is certainly not all physical…. My theme for this month is two-fold: Starting & Finishing ! Starting: the act of engaging in an activity. 1) How do you START a stroke? 2) How do you START your training? 3) How do you START the race? 4) How do you START each practice? Finishing: of or pertaining to completing an event. 1) How do you FINISH a hard set? 2) How do you FINISH a race? 3) What have you learned from finishing that will help you START again? Some O2 thoughts on FINISHING…..
My thoughts this month as I coach is that I spend so much time on details that occur from wall to wall; I must not forget to prepare for the act of starting and the results of finishing. I have noticed at several high school meets that over half of the swimmers need work on their start and many don’t finish like they WANT TO WIN. Winning is beating an opponent, but it is also about beating the clock. Most of us know someone faster, but each time we lower the standard on our own clock - we are victorious. See the explosion and the drive? EVERY practice needs to have a time like this where you get up and dance. Get out of your comfort zone. Get ugly and push it. Only then will you ever know just how fast you can START, how well you can swim, and how strongly you can FINISH. Last and hopefully least, I have redone some of my lists on a new computer and may have either added you inadvertently or subtracted you by mistake… Sorry! Please reach back to me with any requests to reconcile the O2 SWIMMING monthly newsletter and I will be happy to make things right immediately !! So, what do YOU have planned for 2015? 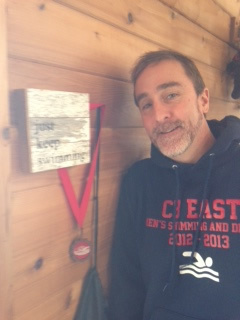 Not talking about "resolutions", but simply, what do you want to accomplish and how can O2 SWIMMING help you get there? Going under :60 for your 100 yard event? Feeling solid after your 1500 start to your Olympic Tri? Setting a PR for your next IronMan? There are many swimmers in our ranks, each an inspiration in their own right. We can all continue to learn from each other. The only mistake will be showing up and doing the same things (stroke, workout, etc) and expecting a different result. We CAN improve... The question is always - DO YOU WANT TO? Although this is another variation on a theme I have addressed in past Newsletters, I am observing and thinking about it is a different way today. I have been really working on DRIVING my hand forward as I swim faster sets over the winter swim season. It is apparent that as I go faster, it takes more energy to drive far enough forward that I get a decent rotation. As I observe many swimmers, they "swim a square", meaning that they extend forward only to that all-too-comfortable spot in front that leaves their shoulders square (wide and not streamline to the coming force of the water). Stand up (yes right now!) and extend your right hand forward into your preferred swim position. Now leave that hand there (oh God, he is preaching catchup again :) and bring the other hand forward - comfortably. What do you notice? Yes, you just made a perfect square in front of you where you are shorter (by not extending into the stroke) and are giving maximum resistance to the water by virtue of a square versus and angle slopping water away.... As a fly fisherman, I see very few perfectly square edges on the rocks FACING the current. They all get worn into rounded edges by the water. Conversely, many trailing edges of the rock remain much more square due to lack of force pounding on them. YOU are no different than that rock in the middle of my stream !!! Now, repeat the exercise (yes, you must stand again....see, I give you multiple opportunities to exercise every day! ), but this time extend the right hand/arm uncomfortably forward as you REACH OUT. Did you reach far enough that your HIP TURNED also? If not, you are still too square. Imagine this relationship in the water EVERY stroke you take. What is you SPL? There is never a day we decline to monitor this, as it is always YOUR WAY to seek and monitor efficiency. As you develop more strength, reach further forward and negate the square. Be long in the water. Swim on your edges. Never be flat. Ever hear any of this before, maybe in different explanations of smooth flow and streamline? You now have yet another focal point to think about as you count laps in 2015. Keep in mind, ALL OF THIS directly relates to SPL which translates into efficiency, which makes one faster. The end ! FEEL this affect early in your day by really improving your catch up drill. Notes for swimmers: You have all survived the massive yardage of the holidays. While the whole world is getting fat, you got lean! Most of you are in the best shape of your lives so far and ready to step up on the blocks and launch !! What can YOU do better? Work on it NOW, as the end of the season will come quickly as the meets take up your schedule. - Reaction time as fast as your competitors? ***You can practice box jumps at home. QUALITY, not quantity!! - How do you take out the first length? ***Are you waiting to see what happens, or taking the race to them? - Turns leave you solidly in the race, or are you catching up after every wall? - Breakouts feel strong or weak? ****Come off the wall swinging for the fence !! Notes for triathletes: Jan 1 ALWAYS brings a renewed sense of competitiveness to the tri community. The weather will often not be nice - outside. It is ALWAYS nice inside!! We live in a world that the average man can join and indoor, heated pool and swim from 5am till 11pm most days.... Are you getting it in? NOW is the time to think through your race calendar and put the time in the water. I can help you, as most of the tri community focuses on "surviving " the swim and then buying gadgets for the bike.... All good, but there is no substitute for focused hard work and you have resources. My workouts are posted on Facebook every week - let them be your guide. You do not have to do them, but they give you a clear understanding of how a swim workout is structured. Follow my lead here. Reach out for me with questions. Although I try very hard to keep my hours focused on competitive swimmers this time of year, we can talk and still get you motivated. Keep the faith, the majority of the kids wind up in the next 6 weeks or so.... Until then, you should get started and regain some strength. Have questions.... Swimming is a very evolutionary sport. Housekeeping ~ Thank you all for a great 2014 (again, busiest ever! ), looking forward to lots of PRs in 2015! As some of you may have noticed, I am not the greatest on email.... Sorry. No excuses, but it is not likely to change. I am old and have too much technology sometimes:( PLEASE call or text me when you really want/need to find me. I am always here!! ***I do not get emails on my phone - it helps me keep sane and still deliver more energy to those standing in front of me. If you have not joined O2 SWIMMING on Facebook, I would much appreciate you sharing in our community with your stories, pictures, highlights, etc. We have a truly amazing group that keeps inspiring not only each other, but me! Last, the not so fun stuff: O2 SWIMMING had a price increase as we entered the new year. I will continue to provide the maximum value for your money by dedicating time with you one on one in the Endless Pool and my written follow up reports. I use video both of swimmers and professional examples, as well as my knowledge from the Olympic Swim Coaches Conference(s). 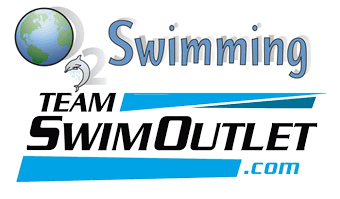 O2 SWIMMING really is a unique place and several major companies have stepped up over the years to support us with TEAM DISCOUNTS (available links on my web page). O2 SWIMMING also has Summer Holland available for younger children to get them ready and legal for swim team and a 50% discount to my prices. She has no written follow ups, but gets in the water with each student. She has limited availability during her high school swim season (Nov - March).